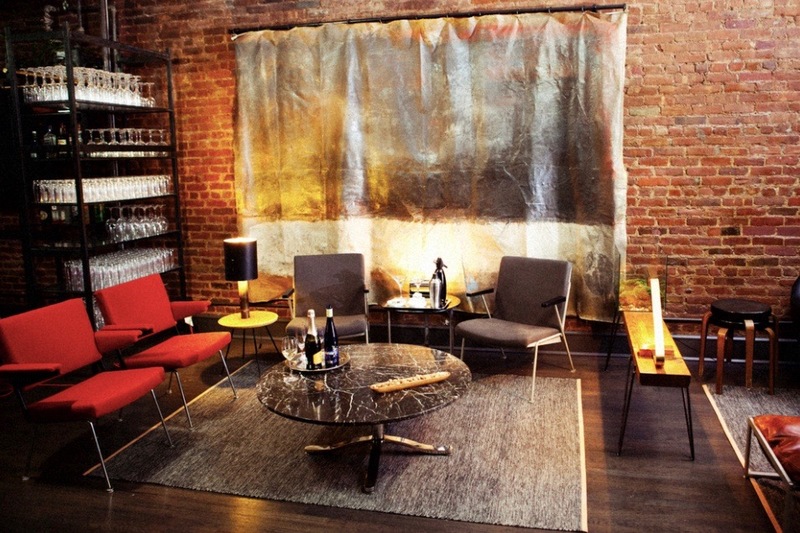 Soho Culinary Loft is a sleek chef’s demonstration kitchen and dining room perfect for intimate culinary events. 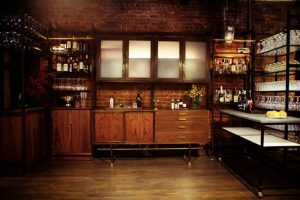 It offers exposed brick walls, in-house furniture, and a physical bar, as well as, a fully equipped kitchen with state of the art appliances. The venue easily accommodates 30 seated or 65 for a standing cocktail. This venue is completely turn-key and invites any chef or to take artistic control. The only things you need are food, florals, and friends! The fully equipped professional kitchen comes with all appliances, equipment, utensils, tableware and furniture currently on-site. This full set of amenities makes for an ideal turn-key location for your next event. With all major components taken care of, this space’s simplicity allows clients to focus their efforts on specialty branding and decor. The chef’s kitchen offers state-of-the-art Jenn Air appliances to make any cooking event effortless. 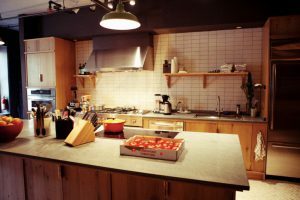 The counter space is large enough to accommodate up to 16 people, making it ideal for demonstrations and hands-on team cooking. 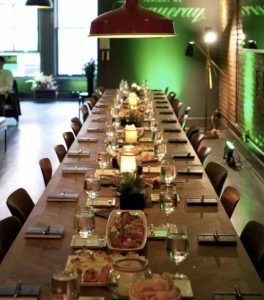 With 1,800 SF, the Soho Culinary Loft is perfect for groups of 30 seated or up to 65 standing for product launches, corporate dinners, or private parties. The space lends itself to a home-like feel with exposed brick throughout, lounge furniture, and the exposed kitchen, creating a sleek Downtown atmosphere with minimal effort.